Got the Van back from the glass shop this week and we took it on a little camping trip with the pups. 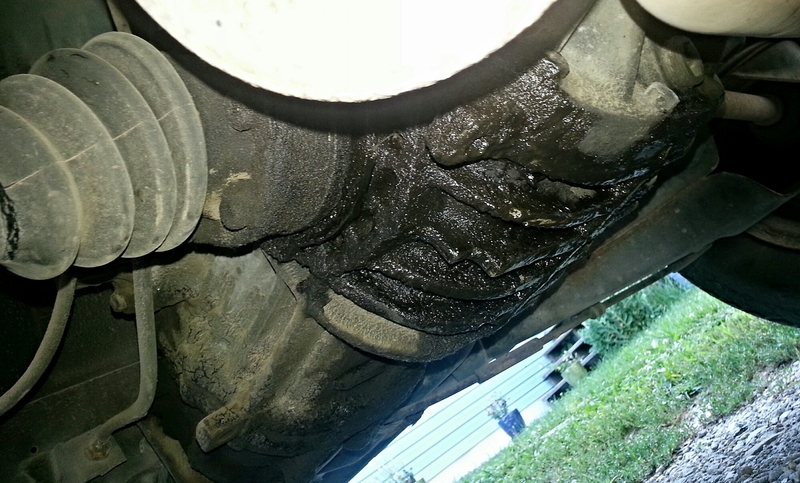 When we got to our destination I noticed we had some grease coming out of our CV joints and the bottom of the transmission looks like its been soaked in goo. 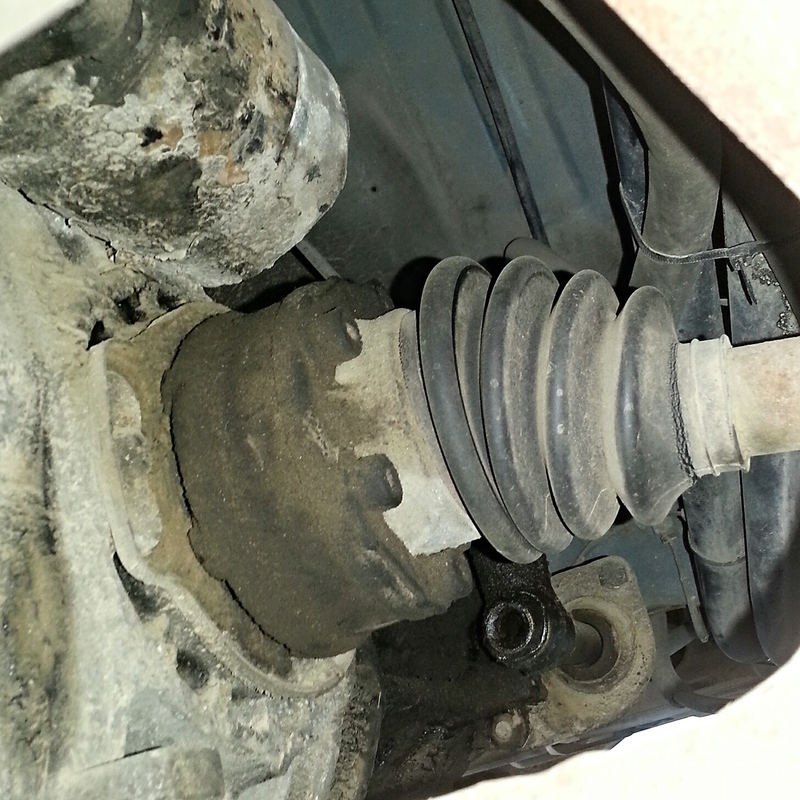 So the next thing on the list is to do maintenance on the CV joints and try to pin point the leak from the transmission. 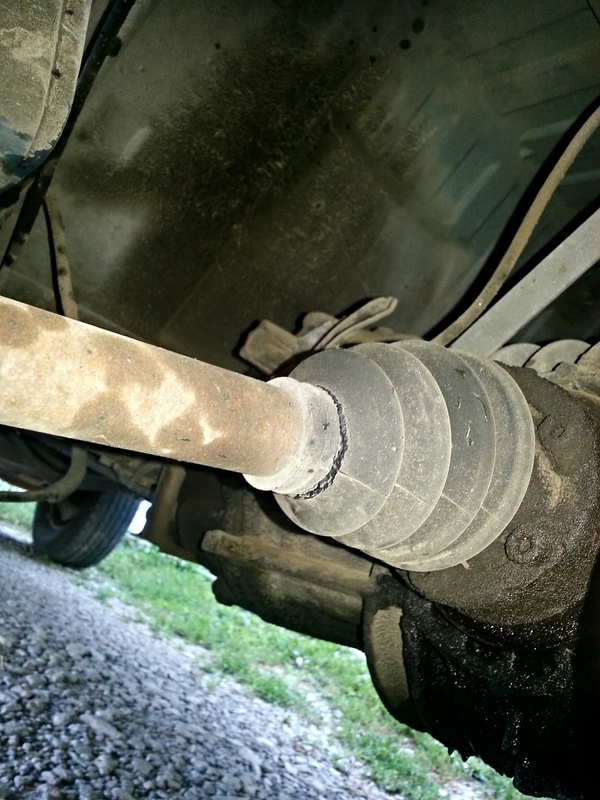 Here’s two complete set of instructions for Vanagon CV joint Maintenance. As for the leaky transmission. It seems like the first step is getting the transmission open and draining out the fluid, since I don’t know the last time that it’s been done. A majority of sources recommend Red Line MT-90, so that’s what I’ll end up using. This article goes through the ins and outs of doing an oil change, apparently no matter what you should get the fill plug off first. It’s a beast and if you take the drain off first and aren’t able to get the fill plug out you’re dead in the water. And all the parts and tools to get you down the right path can be found here. Or if I’m lucky it could just be the transmission breather hole is plugged. Be sure to check that the atmospheric bleed in the top front of the trans is not blocked before starting on this job. If it is plugged (quite common) then it will make brand new seals leak. And if it is plugged and your seals are leaking, unplugging it will often cure the leaking without needing to change the seals. More info on that here and here.